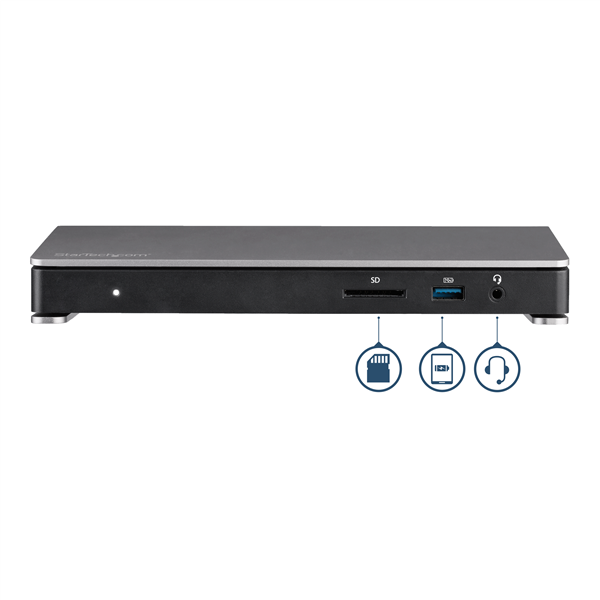 This dual-monitor docking station supports 40Gbps speeds and 4K (4096 x 2160) resolution at 60Hz on two monitors, enabling resource-demanding applications on independent displays without draining system resources. 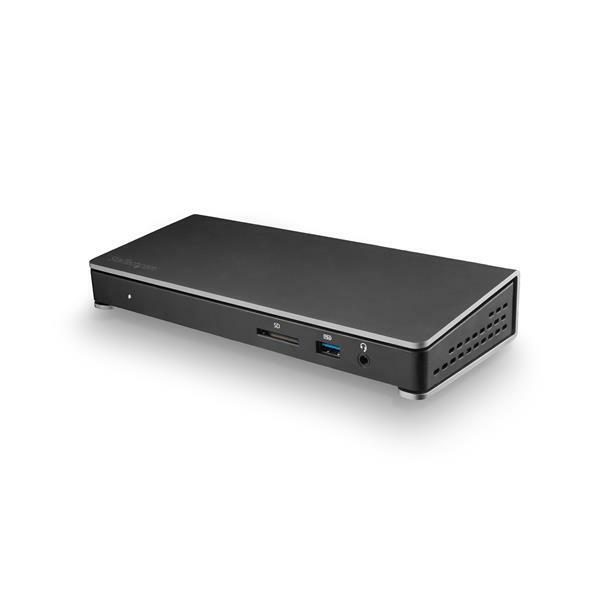 The TB3 dock can support 5K (5120 x 2880) resolutions @ 60Hz on a single display. 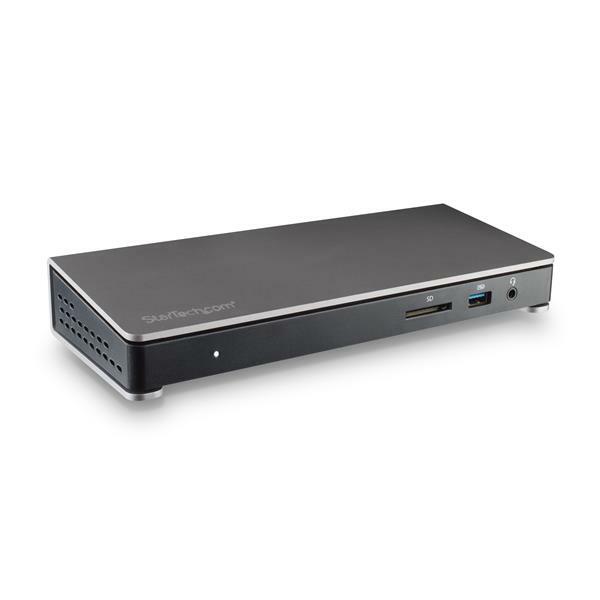 Simply connect the TB3 dock to your laptop with the included TB3 cable and start working immediately. No time-consuming driver installations are required. Set up a second monitor using the included USB-C to DisplayPort cable adapter, eliminating the need for extra adapters. 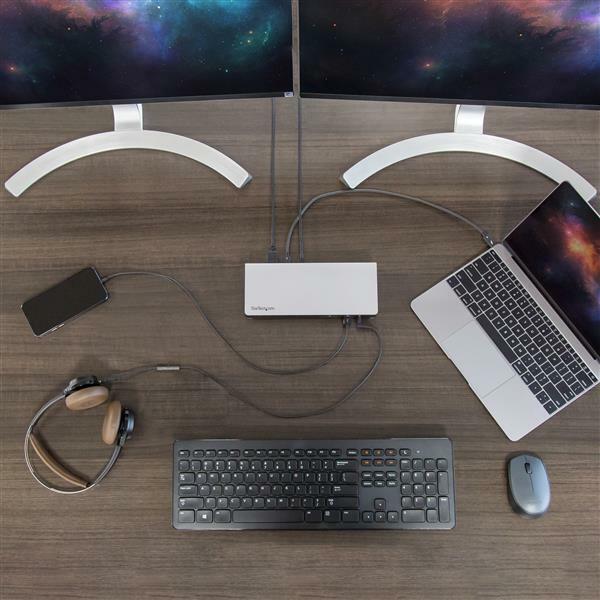 The TB3 docking station offers six USB 3.0 ports, including a Fast-Charge port and USB-C port, an GbE port and audio/microphone port. 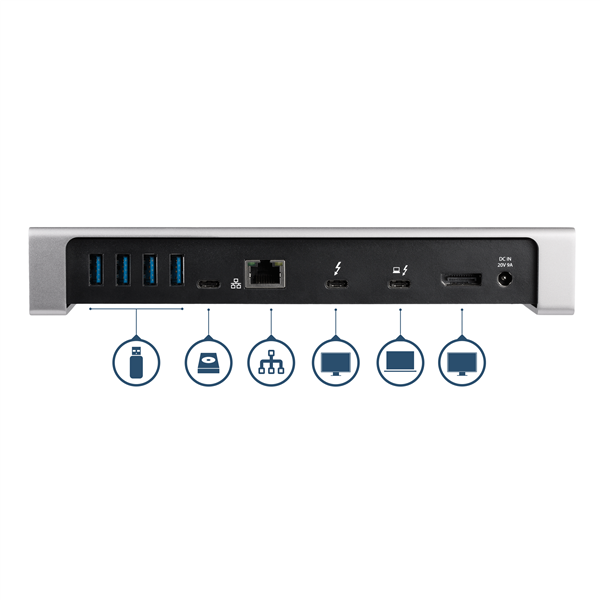 The built-in SD card reader adds storage not usually available on most docking stations. 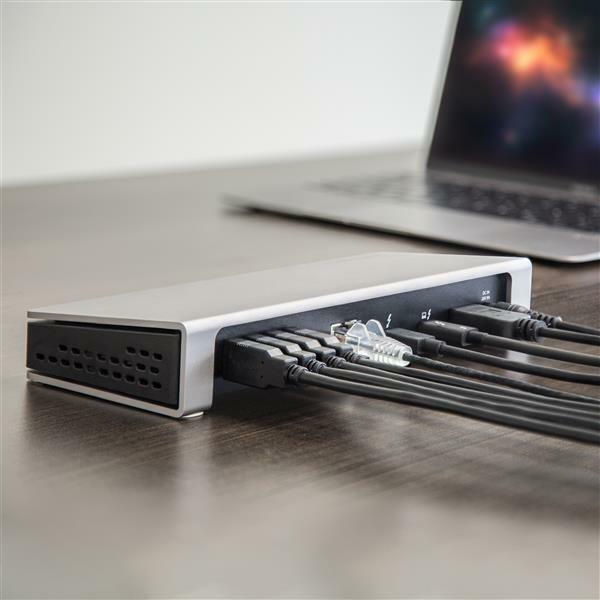 Using a single cable, the universal laptop docking station provides up to 85W of Power Delivery to power and charge your laptop, and power your peripherals with its 180W power adapter. TB3DOCK2DPPD is backed by a StarTech.com 3-year warranty and free lifetime technical support. 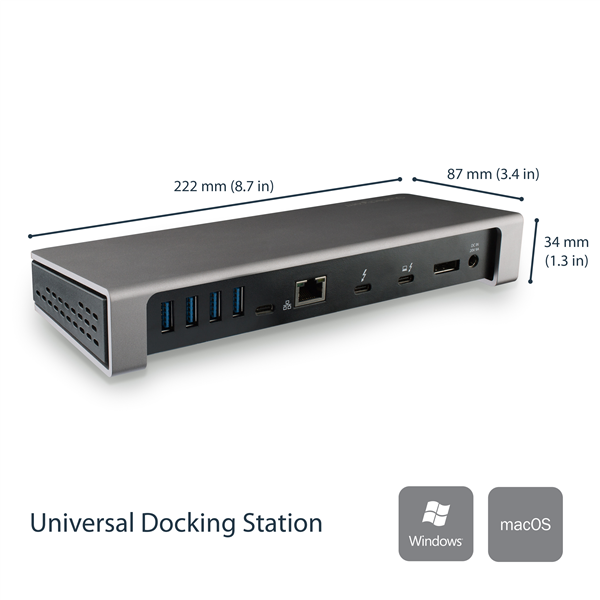 Everything you could possibly ask for in a docking station - 1) lots of ports; 2) no drivers required; 3) no problems. 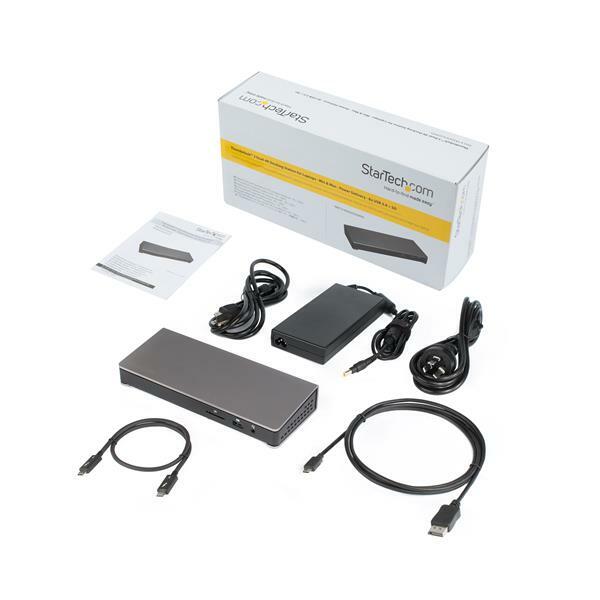 Plugged this into my HP Spetre set-up and immediately had power distribution and DP support; I approved the ThunderBolt device and all connected USB devices / external hard drives were recognized. I got this Dock because I got tired of constantly connecting and disconnecting my peripherals. Now i just pull one plug and I am on my way. (5 stars) How is this possible?? This dock has saved my computer's life. I used to use all four of MBP's thunderbolt 3 ports including the headphone jack. Now I just come in to work and this dock magically does everything through one cable flawlessly. It charges my computer, phone, reads my SD cards, runs my second monitor (4k), speakers, ethernet, printer, and time machine backup. It could do more, but I ran out of peripherals. This dock is seriously amazing. Everyone who comes into my office can't believe how much goes through the single cable to my laptop. Highly recommend!